The Simpsons Tapped Out for iOS and Android received another minor in-game update today and the Facebook page for the game has actually revealed what this update is all about. 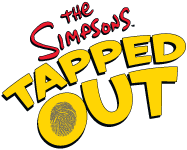 Starting Monday, June 24th an age verification system mandated by the Children’s Online Privacy Protection Act will go into effect for players of The Simpsons: Tapped Out. The first time you log into the game on June 24th or afterwards, you will be prompted to enter your age. Once you have completed the verification, you’ll never see this box again. We are committed to ensuring the privacy and online safety for all of our players, and appreciate your understanding as we stay in compliance with these important laws. The update is also likely to have brought some performance improvements and bug fixes, so feel free to let us know anything you come across below.